More than a dozen Christian men, women and teenagers were brutally beaten and their property destroyed near Hanoi, Vietnam, in what sources say was a religiously-motivated attack. Find out more by watching this short video clip. 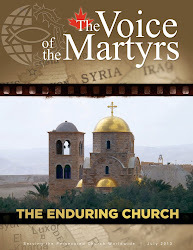 For more video reports on the persecuted Church, click here. To find out more about persecution in Vietnam, visit our Vietnam Country Report.